ShopController, your Online Auto Shop Solution, gives you the tools to manage your automotive repair shop, service your customers’ needs and maintain your competitive edge. Never worry about lost data with real-time and multi-location backup. Rest easy knowing that your data is maintained in a secure facility with continuous maintenance. Cut your IT support costs and headaches. Eliminate the need for local servers, backups, and network maintenance. Log in to your system from anywhere with 24/7 authorized access. In competitive times, the manager of a company does not have the luxury of letting multiple locations “go their own way.” Likely you got where you are because you know what your customers respond to, and you know how to run your business. ShopController gives you the tools to establish the process, monitor performance, and make adjustments in real-time. For a franchisor, it makes sense to set guidelines for how franchises will be run, follow their progress, and assist them in making adjustments when needed. ShopController® draws on 25 years of fleet service management experience to better organize your fleet service process. Whether you are a busy service operator with fleet customers or run your own internal fleet, ShopController will simplify the fleet service process. ShopController® Full-Service Automotive Shop Management System puts you in the driver’s seat. We bring 25 years of shop management experience in the automotive industry, updated with the latest technology and tools. ShopController® Shop Management System brings 25 years of heavy-duty service management experience and updates it with the latest technology and tools. Working with clients in trucking and heavy equipment shops, we give you built-in features specific to heavy-duty vehicle management, along with strong fleet management tools. NMEDA, the National Mobility Equipment Dealers Association, provides mobility certification services for its members. ShopController worked closely with NMEDA to integrate NMEDA/QAP Express, an online documentation program that NMEDA provides for its membership. 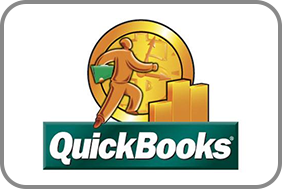 A QuickBooks specialist will walk your bookkeeper or accountant through the setup process in a one-on-one online session. Then you can send invoices, payments, and inventory directly to QuickBooks whenever you want, from wherever it is convenient. ShopController gives you the flexibility to decide what you want to export. ShopController automatically updates QuickBooks with new customers and vendors each time you export. Is Your Shop Management System Based on Outdated Technology? Do You Need A Proven Inventory Solution? Inventory is automatically updated as parts are ordered or sold. Minimum and maximum quantities can be set for quick and accurate inventory reorder. Inventory aging easily identifies dead inventory. Custom Inventory reports let you analyze inventory usage, identify parts that should be stocked and monitor inventory levels. Whether you are just starting out or relocating to a bigger shop, this is the best time to take a look at your options. Your shop management system should be ready to serve you well until the day you sell the business. Start off right and you are set. Start off wrong and you will need to change systems at some point, risking lost data and disrupting your business. ShopController gives you all the tools and features you need to grow your business. Our state-of-the-art shop management software will upgrade your total business model 24/7. 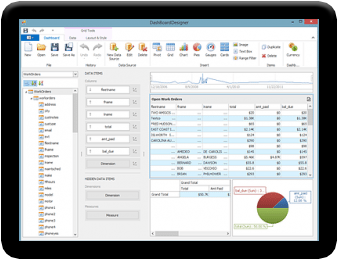 ShopController provides real-time reporting, streamlines your process, organizes your work-flow, refines record keeping, and jump-starts your productivity. With ShopController you can expect superior personalized customer service, while you increase your margins and minimize your losses. On behalf of Lashley’s Garage Inc. would like to thank ShopController and their staff for all the great support. We would recommend this professional management system to any professional automotive repair shop looking for a great and affordable shop management system with reliable tech support.